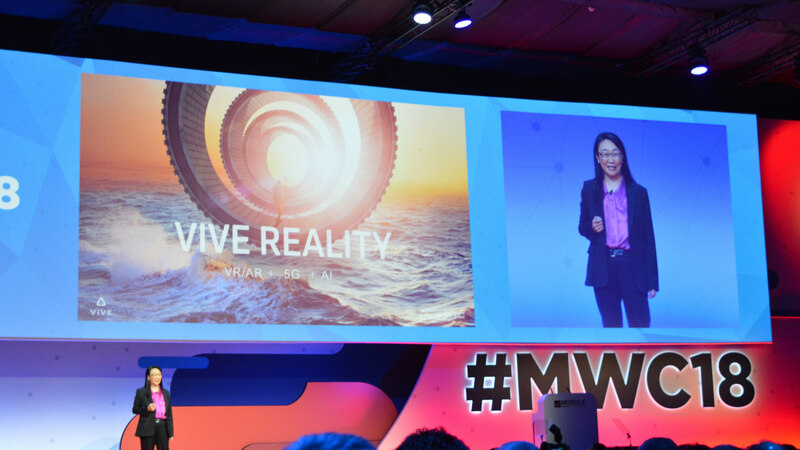 At this year’s Mobile World Congress (MWC) in Barcelona, HTC CEO Cher Wang took the stage to outline the company’s big picture approach to the future. 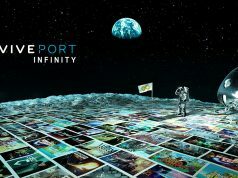 The company is ostensibly putting increased focus on VR/AR with their newly coined ethos ‘Vive Reality’. In the wake of the resignation of Chailin Chang, HTC’s President of Smartphone and Connected Devices Business, and the resultant merging of the company’s VR and smartphone divisions, the Taiwan-based manufacturer seems to be putting more emphasis on immersive platforms than ever according to a future outlined in today’s keynote. 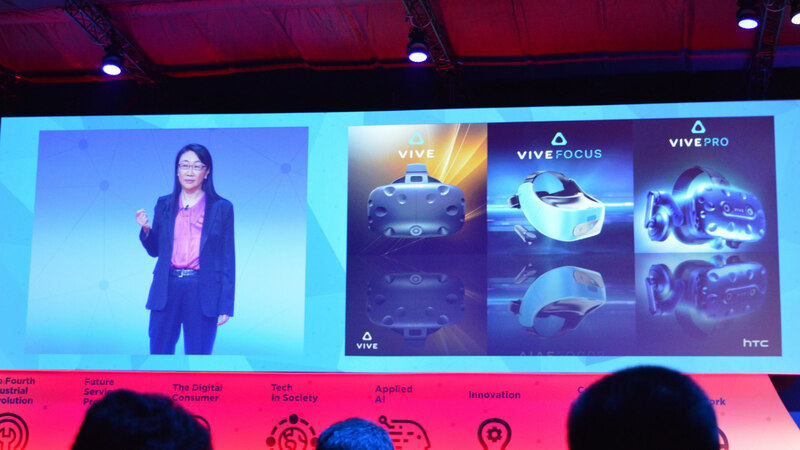 To HTC, the near future will be a 5G-connected world where VR/AR devices expand their abilities thanks to cloud computing and AI; plenty of tech buzzwords to digest, but demonstrative of the company’s reliance on its VR platforms – Vive, Vive Pro, and Vive Focus, the company’s China-only 6DoF mobile VR headset. It makes sense that HTC is investing more time and money in its more successful ventures, and cutting its losses where it can. Having recently sold off much of its smartphone team to Google in a $1.1 billion deal, which saw half of HTC’s smartphone R&D division transferred to Google, the company has clearly reduced its ability to compete in at the same level globally. They’re already dead. I like htc, but I don’t like what they did after htc 10. Hope they will be successful in VR and hopefully, one day come back to smartphone biznis when they find new spark and figure out what users actually want. Coming out of Apple shadow first and stop following them is the first step. it depends on how much money they have to ride on. VR will not produce a profit for a few years. Well, they’ve been saying that for few years before…htc lost spark and idea for phones. I am afraid they will just throw money away if they keep smartphone biznis. They have no idea what users want and expect from them and ask too much for their vision. After front firing speakers, 3.5 is gonne with durable metal and nothings left to differentiate htc from others. Shiny glass among countless other glass phones and mostly gimmicky edge sense is certainly not the receipt for success. There’s nothing HTC can do against Samsungs multibillion dollar marketing campaign. HTC Ones marketing campaign was painful to watch. 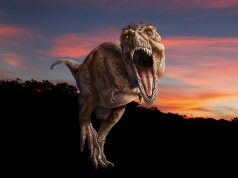 I know 5G will be fast. . but is it really fast enough to rely on remote cloud to do all the computations in VR? Where milliseconds create bad lag? Oh it will be more than fast enough. With 1-2 ms of latency? That is better than what most people have now with wired connections. Not to say that at the beginning of the rollout, there may be some issues with connectivity. However, I do believe, with time, that true 5G will solve a lot of the issues we have now. Okay HTC, time to invest in some actually good games, all VR games with Vive Studios attached has been crap. Yeah, but it still is a Bethesda Glitchest 3D Experience. Exactly Mateusz, same thing here. Good news for us, who here gives a damn about smartphones, I don’t. They’ll fail in VR for the same reasons they failed with smartphones, with their current vision/strategy. Their lack of pragmatic as well as innovative product conception (in these market/price ranges) made them a completely irrelevant company. 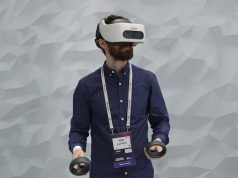 They sure have a length in VR but only because they were “first” to market, however I found most people prefer a GearVR for introduction, a PSVR for casual/couch entry, and Oculus as a standard for anything client/event related, maybe gaming is their standing foot but they won’t go anywhere with that basic usage of VR. Their products ergonomics and design is just terrible, and they don’t bring much to the table in software/hardware either (I never cared for lighthouse, which I found interesting at first and then terrible when I had to install and use those). You’re looking at this from a Westernized perspective. The chinese market is enormous and already VR is making waves there with the HTC Vive at the forefront of this market; HTC is a brand slowly becoming synonymous with VR over in East side. That makes sense, since Facebook is blocked in China. . nobody should invest in their Oculus because you never know if you can access support and the software library. HTC Vive is the next best thing. Foreign brands don’t have much a chance in China. Your argument is relevant, but that’s not what I hear, and I also think that you’re looking at the chinese market from a westernised perspective, because while on the western market brands are long at establishing themselves but also stay anchored once they are, this is not the case in China. For exemple the leading smartphone manufacturer ahs changed between 6 different brands these past years, some of which are quasi-dead today. This would stand if HTC had premium and patented specs and solutions but China is specifically the market from whence I’ve seen the most innovation and iteration on the VR market. So we’ll see. This is good news for VR gamers, having multi-billion dollar companies relying on the VR market to be honest. VR has a future, and if so then so does HTC if they invest in it…unless VR doesn’t have a good future but this is roadtovr, so I would hope everyone here is at least moderately a believer in VR’s future.